Microneedling has taken its place as one of the most innovative, natural and effective treatments in non-surgical facial rejuvenation. More specifically, the Profound Microneedle RF technology is delivering “profound” benefits for patients who want to turn back the hands of time without undergoing the anesthesia, downtime and incisions of a surgical facelift. Over time, our skin loses elastin, collagen and hyaluronic acid – which are the components that give our face its youthful volume as well as its tight and smooth skin texture. When these are lost, the result can be unsightly sagging and wrinkles around the eyes, nose, cheeks and mouth. So how can microneedling help? Microneedling delivers temperature-controlled radiofrequency energy directly to the dermis layer of the skin. This action stimulates the body’s natural healing process, which includes production of collagen, elastin and hyaluronic acid – which are the three building blocks for rejuvenated skin! Safe: Not only is microneedling safe for all skin types, but it doesn’t rely on synthetic materials like injectables and doesn’t carry any risks of anesthesia or incisions associated with plastic surgery. Convenient: The Profound Microneedle treatment is typically done in about an hour. Patients may only need 2 to 3 days before they can resume normal activities. The best part, just one treatment session is typically needed to produce ideal results. Effective: Microneedle addresses common facial wrinkles with a 100% response rate! However, this innovative technology also treats acne scars and can lift, contour and smooth the jawline, cheeks, nasolabial folds and décolleté. The youthful appearance you thought you lost can be revived using Profound Microneedle. 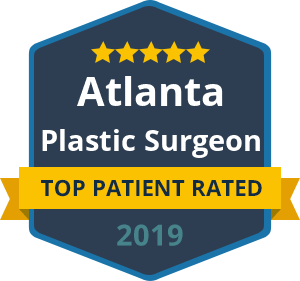 If you are not willing or able to go through plastic surgery, but you want to look younger and feel more confident, schedule your consultation with Dr. Talei. When performing non-surgical treatments such as microneedling, it is remarkable what the body’s regenerative capabilities can produce with the proper stimulation.